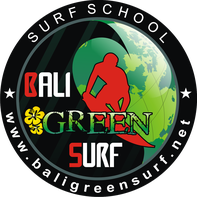 Our Bali Green Surf School has been cooperating with the exchange programs of the Udayana University in Bali for almost two years now. Every semester hundreds of students from around the world join one of these programs and come here to study at the Udayana University. GoBali, Tropical Living and IBSN are just a few of the many programs, giving you the opportunity to study in Bali for one semester. With our projects we give the students the possibility to help this beautiful island and its inhabitants and have fun at the same time.